I really want to get back into my blogging habit so even though I have nothing much to say I thought I would drop by. We had a fairly normal weekend. Saturday is always doggie kennel day so that was where we were until late afternoon. 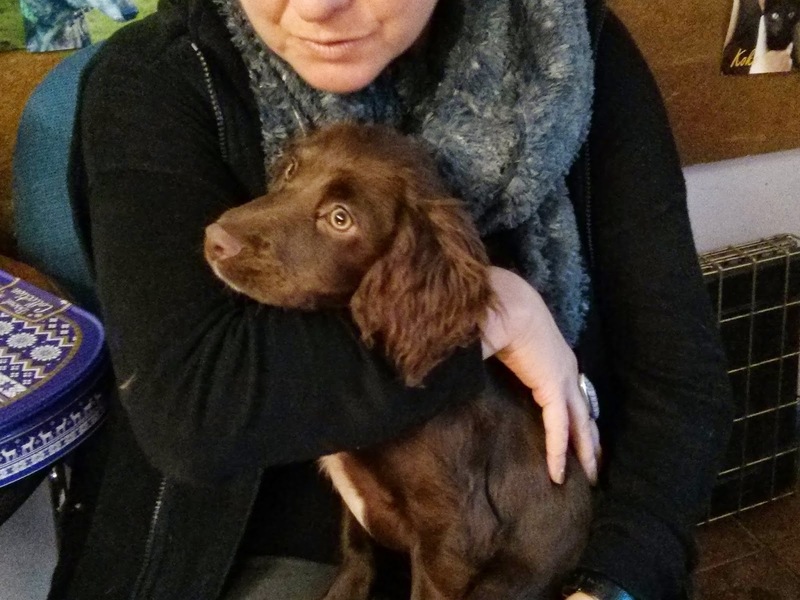 We have just taken in 2 Spaniel puppies, they are 4 months old. They are very cute and have probably already found a furever home. The Spaniels were posted on the 3CDR FB page and all hell broke loose. People were just going crazy. I found it a bit sad to be honest. We have nearly 70 beautiful dogs and it is really hard work trying to find homes, along comes a puppy and everyone wants it. As you can see they are cute. Saturday evening we were out to dinner at Gyll's house. The usual crowd of us from the doggie rescue. We are so blessed to have made such wonderful friends. Sunday was a bit of a lazy day. We took down all the Christmas decorations in the morning. The house looks much lighter now. Funny that. Then Simon pottered around in the garage doing whatever he does ou there. I did a bit of Internet stuff and generally lazed around. Today Simon was back to work so I can begin to get back into my normal routines. So housework this morning including an absolute ton of ironing as it had been left over Christmas. This afternoon was nice and relaxed and I did some computer stuff and also finished off a Hamma bead creation. Simon got me some Hama beads and boards for Christmas. 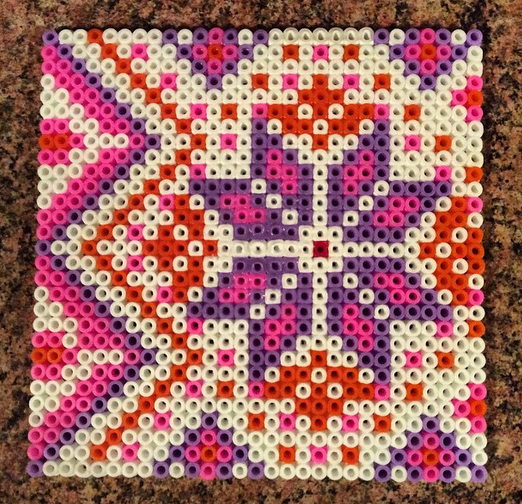 (Perler beads to Merikans). My children had these and so does Ellie so it seems like a childish hobby. However, I have seen some really beautiful creations on the Internet and there are sellers on Etsy who do great work too. I thought I would enjoy trying it out as another craft and another possible thing to sell if I get good enough. Think it takes practise! The ironing bit is a real skill I think! I have manged to make a small dent in the middle of my peg board where the pegs have distorted from the heat. don't think that is supposed to happen! It takes quite a lot of concentration but it is very relaxing. It also takes a hell of a lot of beads. Simon got me a tub of 4000 mixed colours and I had to buy more white ones at the weekend to complete my design. Fortunately they are cheap. This evening I have been doing stuff on my computer. Listing new charms in my Etsy shop and catching up with other bits and pieces. Tomorrow, I don't have too much housework so hopefully I will get more time for myself. 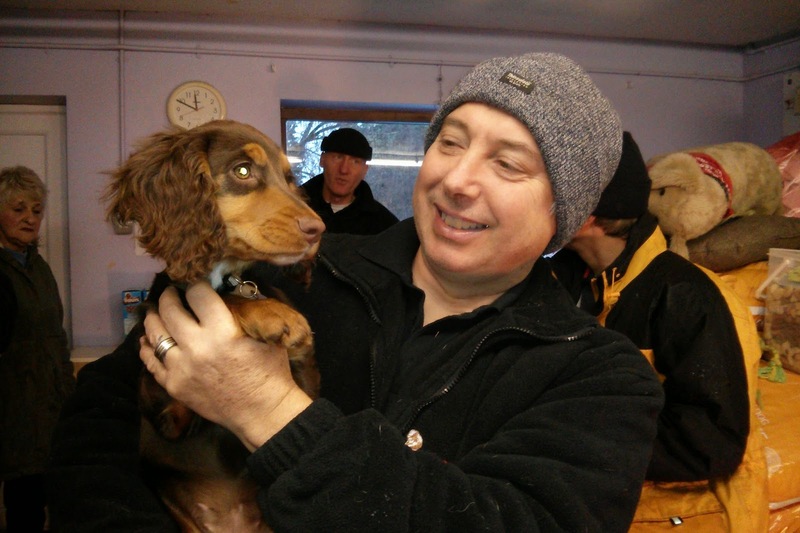 Have you all seen that I have been updating my blog "Adventures with Tallulah"? I have about 4 posts scheduled to go live this week. Then I should be up to date. Click on the tab at the top of my page to see it. I've recently started to try and get back into blogging also and I have enjoyed what I see of yours. That is a sweet dog in your pictures. Is that one of the shelter ones I assume? I have some neighbors who have 2 dogs but they are outside animals . Maybe that could work if they walk them lots, spend time with the and take them in when it is too cold or bad weather. I just never see anyone paying attention to the dogs other than food or water so it seems sad.